To be in Tandem is to come along side or behind to lend support as needed. Our Radio show is hosted by Glen Dalakian and features Peter Grandich who combined have over 60 years of experience. Their unique insights into the world of Business ownership and Financial Markets can lend support to almost any entrepreneurial endeavor. 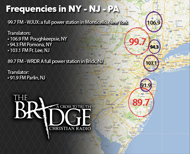 By providing a Christian perspective the Tandem Radio team can show people how to handle concerns with Biblical guidelines and point them to God and His word for their solutions. Entrepreneurs are often misguided on how God and Business relate, but it is essential for any Christian to maintain the integrity of his/her walk in all aspects of his/her life. By addressing relative topics the Host can direct individuals to seek God and make scripturally wise decisions on Business and Finance while becoming successful in their endeavors to provide for their families, grow their businesses and bring provision to the Kingdom for Jesus Christ. Business owners are resourceful and driven. When coupled with faith in Christ and a practical knowledge of His Word Entrepreneurs can excel to new levels and have a greater testimony in their market place.